Also read The ‘V’ Word – a plan to save the World. Although this album is free, it was originally a fundraiser for The ‘V’ Word, so a small donation would be greatly appreciated (scroll to bottom of page). This album is a collection of eight songs, some of which appear on other albums. Since this album is being released as a Christmas Special, the first track is a Christmas song which has a final chorus with an animal-friendly message. 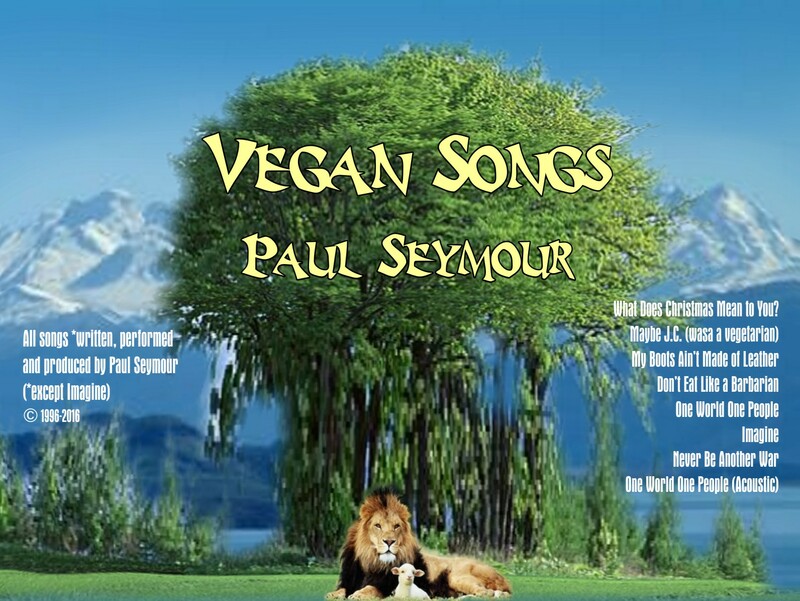 There’s also a uniquely different version of John Lennon’s ‘Imagine’ with a never-heard-before animal-rights verse. ‘New Music for Grown-Ups’ page where you can also download album artwork.